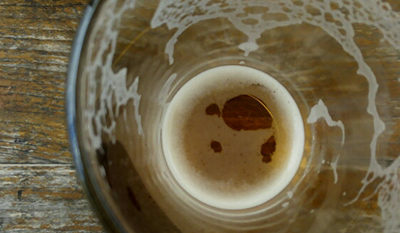 What Type of Beer? Ur… bock? Home / 2013 / June / 25 / What Type of Beer? Ur… bock? I assume that’s how they came up with the name of this beer. This beer was on special down at my local; Blanc, and I thought I would give it a try. It was actually past its best by date but I was hopeful. On closer inspection of the label I realised this ale was from Namibia and it was 7.0% abv, which immediately lowered my expectations somewhat. I’m sure there’s a saying about books and covers that you’re thinking of here but please read on. The Urbock poured a caramelly brown with a bit of a head that didn’t stick around. The aromas emanating from the glass were sort of sweet, malty and metallic. It’s an aroma I pick up rather often in a lot of sub-standard mass produced darker beers. I’m not really sure what it’s from, but I can tell you I’m not particularly fond of it. With its bargain price and unpleasant bouquet this german influenced beer was setting itself up to fail in my eyes. 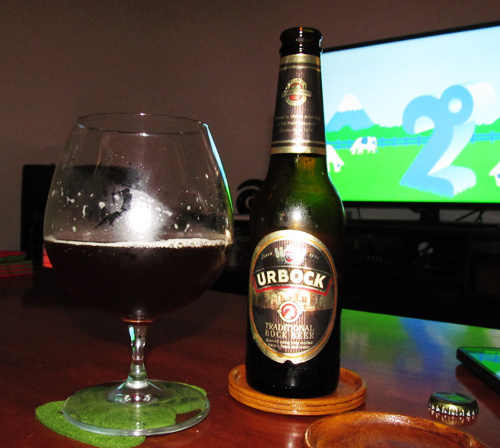 In the mouth the Urbock had considerable body with quite good carbonation considering it couldn’t hold the head up. The flavour was surprisingly rather nice; malty and the 7.0% abv was hidden well. There was no prominent hop flavour or bitterness. Unfortunately the aroma pretty much slaps you right in the chops every time you bring the glass up for a sip which ruined the entire experience. 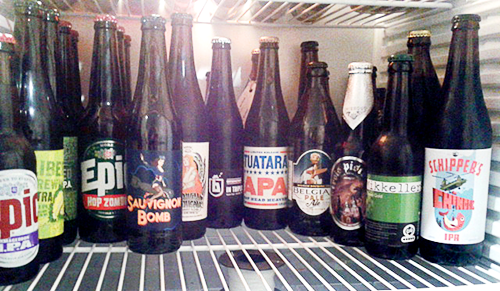 By the end of my 330ml I was almost glad to be heading into Dry July in only seven beers time.